Tuesday, February 19, 2019 6:30 p.m.
Join TALA for a comprehensive discussion of copyright fundamentals and how to protect your work. 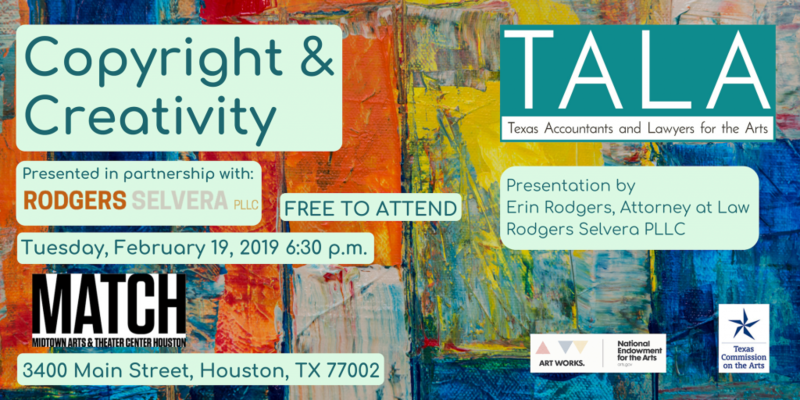 This multidisciplinary presentation includes what your rights are as a copyright owner, registering your work, fair use of copyrighted material, and more. There will be time allowed for Q&A after the presentation. Erin has been practicing entertainment and nonprofit law in the Houston area since 2007. Erin holds a Bachelor of Music in Music Business from Loyola University New Orleans, and a J.D. from the University of Houston Law Center. She has spoken at many entertainment industry events, and teaches copyright and business courses at the Art Institute of Houston. She has served on the Texas Entertainment and Sports Law Council, and is a member of NARAS. She was a past legal director at Texas Accountants and Lawyers for the Arts. In addition to practicing law, Erin is a classically trained clarinetist, and also plays the piano, accordion, and guitar. Erin has performed as a vocalist with Dave Brubeck and the Louisiana Philharmonic Orchestra, and currently performs with Houston indie rock bands The Wheel Workers and Glass the Sky, as well as with several other groups. Wednesday, February 20, 2019 6:30 p.m.
Our newest edition including recent key changes for individual taxpayers. With the passage of the Tax Cuts and Jobs Act in December 2017 and the redesign of Form 1040, it’s important to be up to date with new information that impacts your tax liability. Join TALA as we cover new rules and general basics for completing your return. 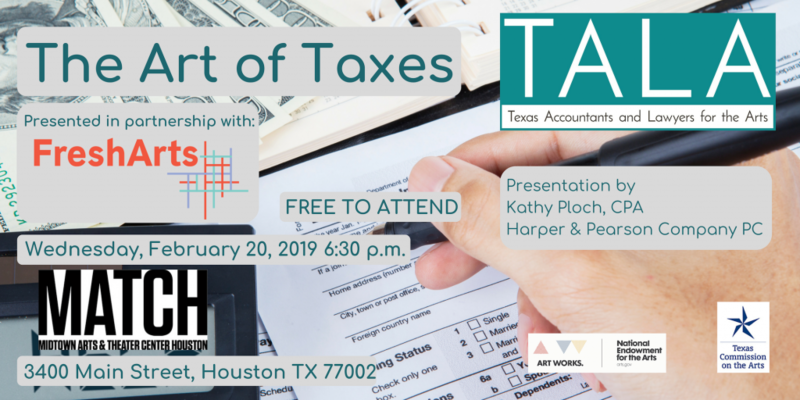 Structured with artists in mind, this seminar is designed to walk you through your tax return, addressing common artist concerns and important IRS regulations pertaining to creative practices. Kathy is a CPA and the Tax Compliance and Consulting Specialist at Harper & Pearson Company, P. C. She has been in public accounting preparing all types of taxes for 35 years and has worked with small nonprofit organizations for 20 years. She is a Past President of TALA and has been a volunteer with the organization since 1999. She is a member of the Houston CPA Society and served as Society’s President in 2009-2010. 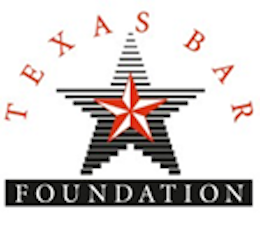 Events funded in part by a grant from the Texas Bar Foundation, Texas Commission on the Arts, and the National Endowment for the Arts. 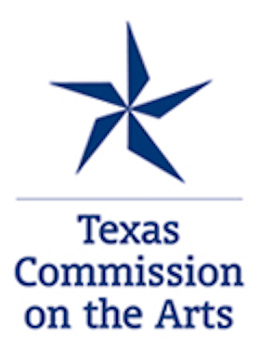 TALA proudly acknowledges the following organizations for their generous sponsorship of the programs and clinics that support our mission to serve the Texas creative economy. TALA is a 501(c)(3) charitable organization.